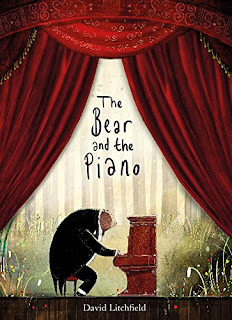 David Litchfield's truly sublime "The Bear and the Piano" is destined to become a well-loved classic. A tiny bear cub discovers a strange object standing on its own deep in the forest. When the bear approaches the object, and gently touches it, the object makes a terrible noise. The bear is startled - but there's something about this 'thing' that draws him back day after day. The bear grows into a fine and strong grizzly bear, and every time he comes back to the strange object and plays with it, sweeter sounds issue forth from its vine-encrusted wooden case. Soon other bears gather to hear him play, and soon a young girl and her father discover the bear playing haunting melodies, and tell him what the object is. "It's a piano!" the girl says. The girl and her father tell the bear of their world, of the music and song and of the many pianos the bear could come and play if he came with them. 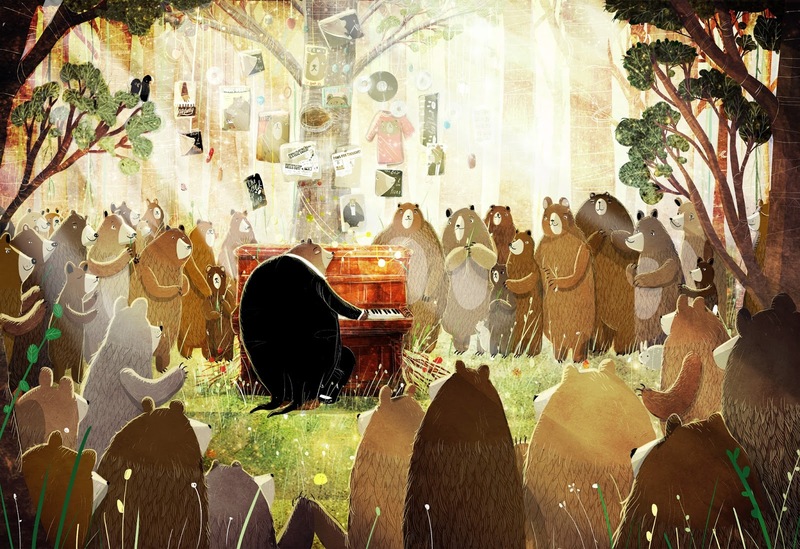 The bear and the piano - just so achingly beautiful it makes our hearts soar! Word of the bear's amazing musical talents spreads far and wide, and soon he's a superstar! 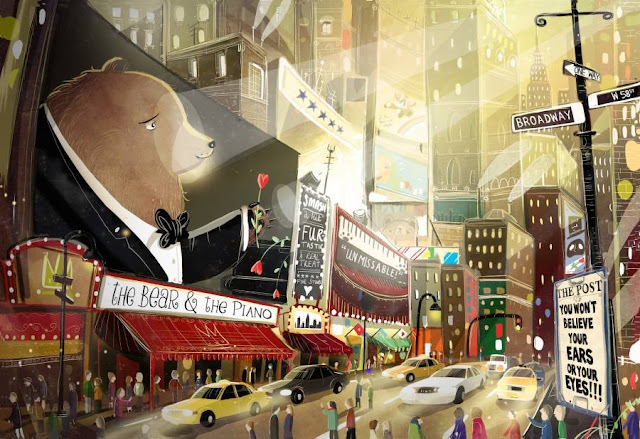 Before long, the bear becomes a superstar pianist with his face and name all over broadway. His performances are always packed to the rafters, and he's a massive success. But what of his friends and family back in the forest? 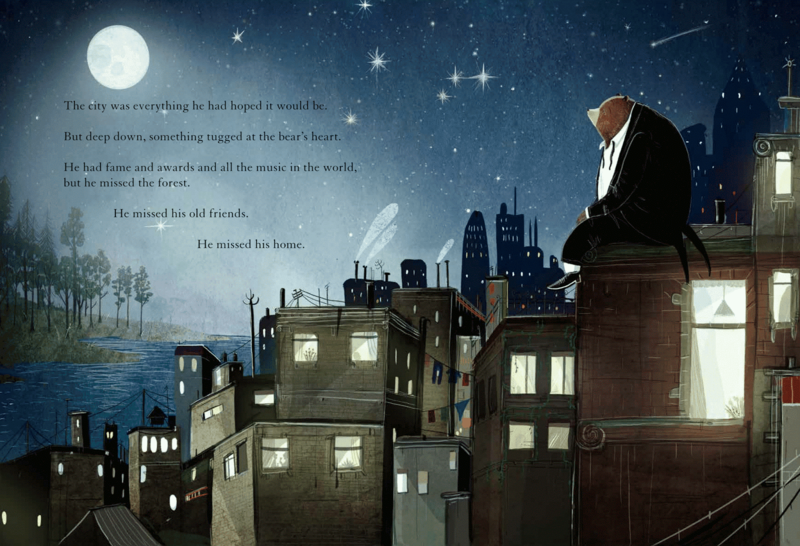 The bear realises that he misses home - but will he be welcomed with open arms when he goes back to the forest? We'll leave you to discover the rest of this truly gorgeous book yourself. "The Bear and the Piano" delivers its message in such a stylish and heartfelt way that it's virtually impossible not to fall hopelessly in love with it. We may be fashionably late to the party in reviewing it but we can now fully understand why so many other book bloggers and reviewers are calling this their book of the year. It's absolutely stunning. Charlotte's favourite bit: Bear's first sellout performance on the big stage with all the excited audience looking on agog as he plays. 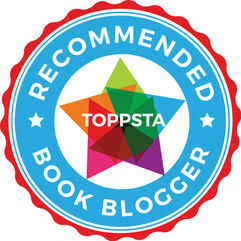 Daddy's favourite bit: There are so many things to love about this book. I particularly loved the expressions on Bear's face as he first goes through a stage of curiosity, learning about this odd object that he finds in the forest - and then his expression as he begins to play to his first audiences. The best one though is the one when he returns home to play for his friends and family. Truly, truly beautiful. "The Bear and the Piano"